Sending receipts or thank you letters to our donors makes them feel valued and appreciated. This establishes a relationship between you and your donor. 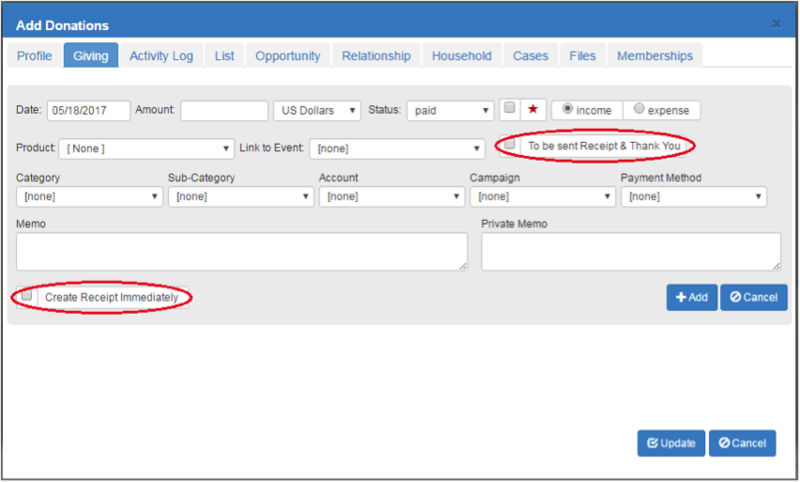 In Akubo, after adding a donation, you can create a receipt that you can either print or email to your donors. 1. 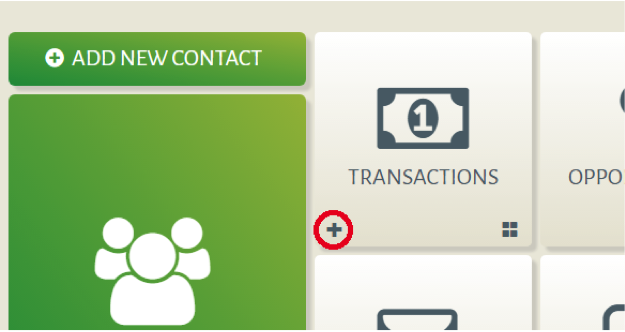 From the main page of Akubo, click on the Plus icon on the Transactions tile. Then search and select your donor. 2. You will then see the Giving tab of the contact popup. Click Add Gift. Fill out the necessary information. You have the option to create a receipt immediately after adding a donation or do it later. Tick the checkbox Create Receipt Immediately or To be sent Receipt & Thank you. 3. Click Add, then Update. 4. Create content of the receipt. a. 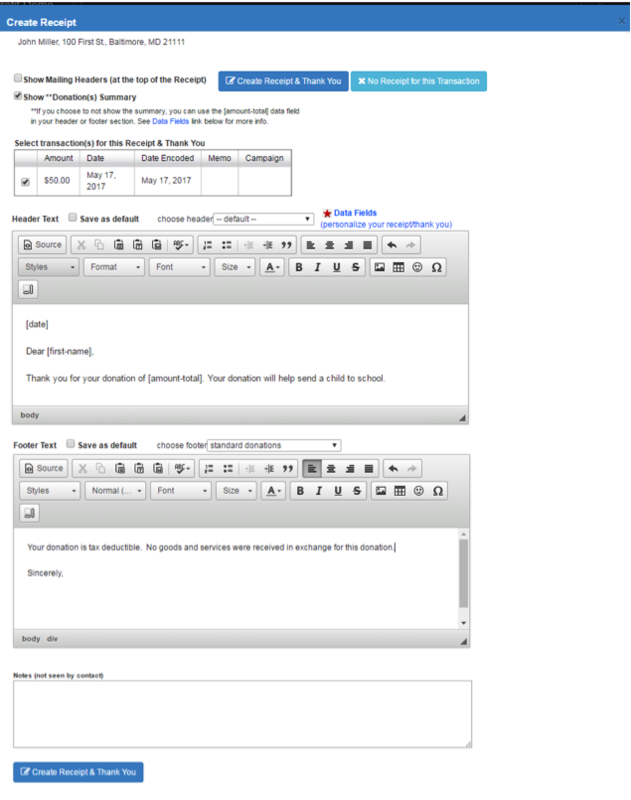 If you choose To be sent Receipt & Thank You, you can create a receipt by going to the Create Receipts & Thank You page. On the main page of Akubo, click Others, then Create Receipts & Thank You. On the listing page of receipts, click Create Receipt & Thank You. A Create Receipt popup will appear. b. If you choose to Create Receipt Immediately, a Create Receipt popup will appear. You can customize the Header/Footer text, even add an image for your logo. 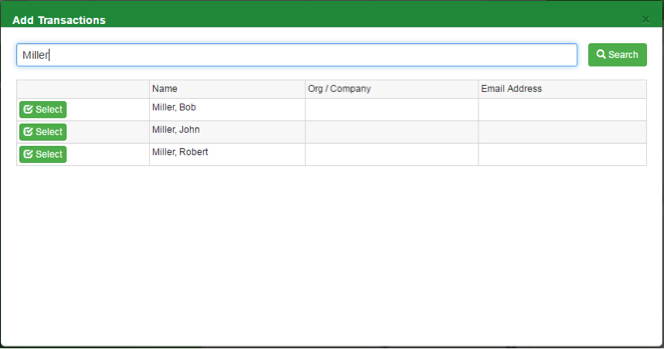 You can use the data fields that acts as a placeholder that will replace the text with the donor’s actual data. Hover on the link Data Fields to know the data fields that you can use. You can create a custom Header/Footer template and you can just choose from the list of templates on the Header/Footer dropdown. – On the main page of Akubo, click Others, then click Notes. – On the Notes page, click New Note. 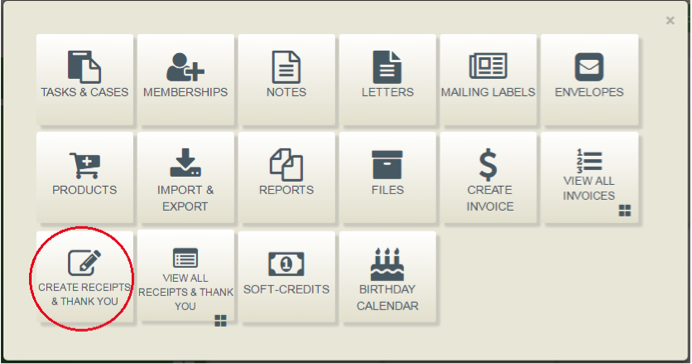 – Under the Type dropdown, choose Receipt/Thank You Header or Receipt/Thank You Footer. – You can play with different fonts, formats, colors using the toolbar. You can insert images by clicking the image icon. 5. Click Create Receipt & Thank You. 6. To email the receipt, click Email Receipt & Thank You. You can also view it as a PDF or as an MS Word document.